At TechMasters here on the Kapiti Coast, we take pride in our computer repair and technology troubleshooting skills, and our low rates and fast service. 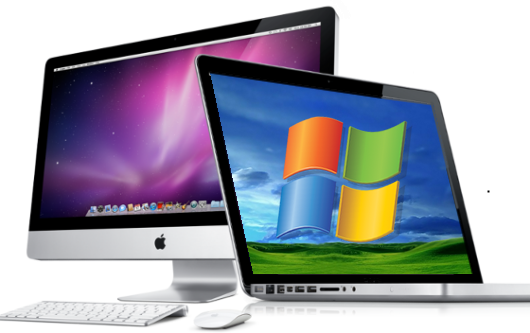 With more than 25 years professional IT experience, we specialize in servicing and fixing broken Apple Mac, iMac, MacBooks, PCs and laptops. We're also experts in cloud-based setups for improving small businesses online and home-based network troubleshooting including Internet & wifi configuration, and home media setups for Smart TVs, etc. If your hard drive has failed we can recover your data too. Weekdays or weekends, contact Techmasters for a fast, experienced and affordable computer technician. We can offer same-day Kapiti computer repairs and call-outs to the following Kapiti areas: Pukerua Bay, Paekakariki, Raumati, Paraparaumu, Waikanae, Peka Peka, Te Horo and Otaki. Listed below are some of the most popular computer support and networking services we provide. We strive for customer satisfaction and are proud of the testimonials emailed to us by some of our many satisfied customers.